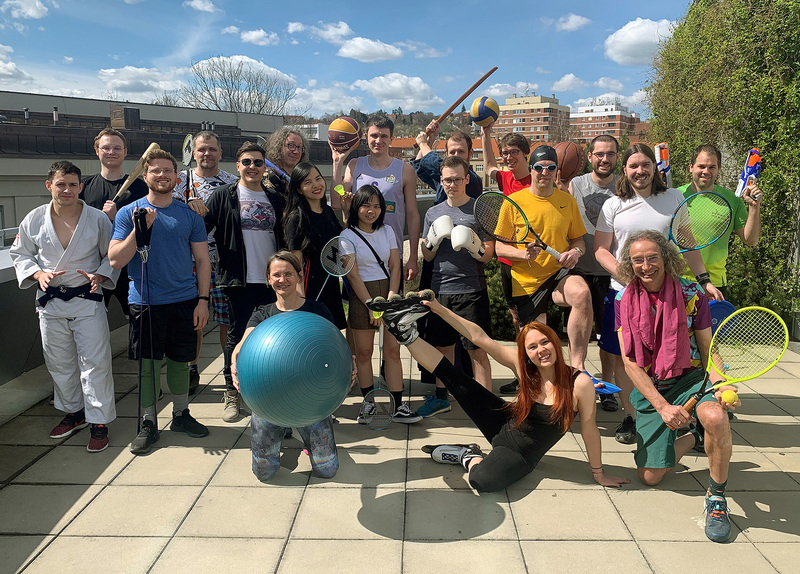 Open Positions: Motivated and molecular simulations inclined Ph.D. and M.Sc. students always welcome! "For every phenomenon, however complex, someone will eventually come up with a simple and elegant theory. This theory will be wrong." "The "reductionism" of evolutionary science is purely tactical. 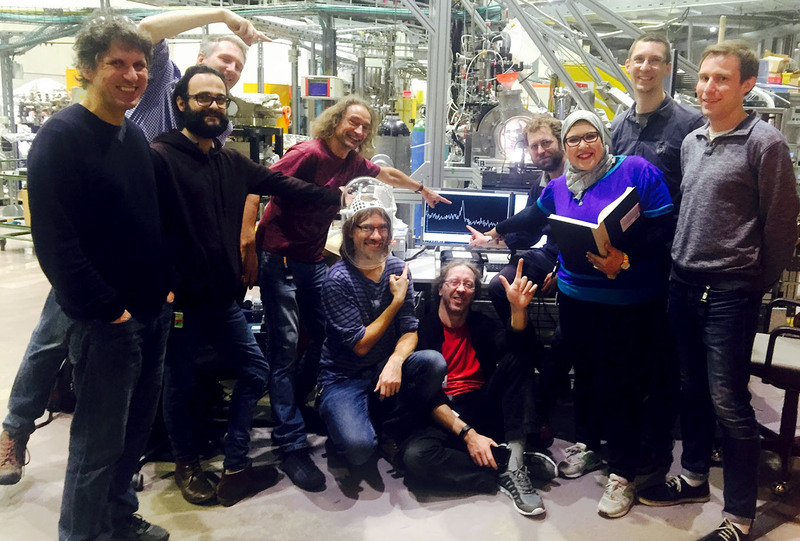 We do what we can do in the face of an awsome amount of diversity and complexity." 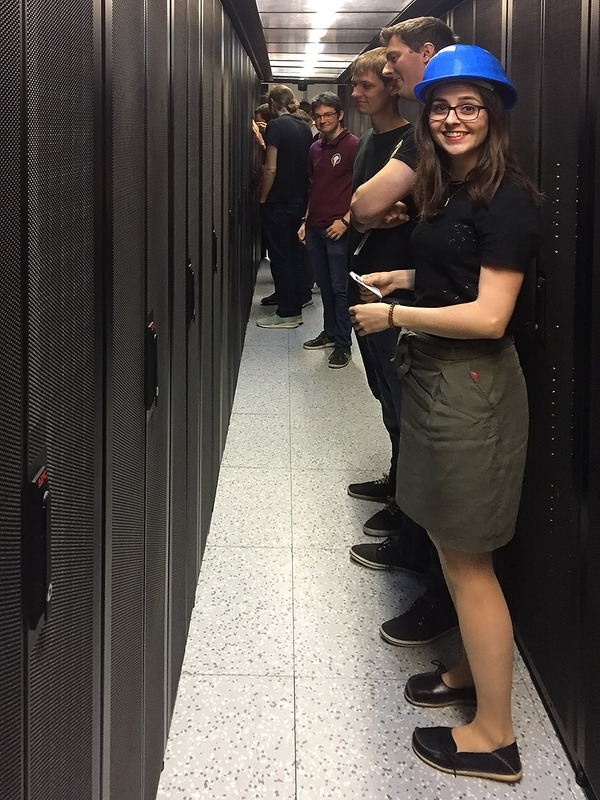 Our group is inspecting the newly installed computer cluster - the biggest in IOCB so far with over 240 nodes - all fresh from the owen. Thank you very much European Union for grant support of 2 M € from the Structural Funds! 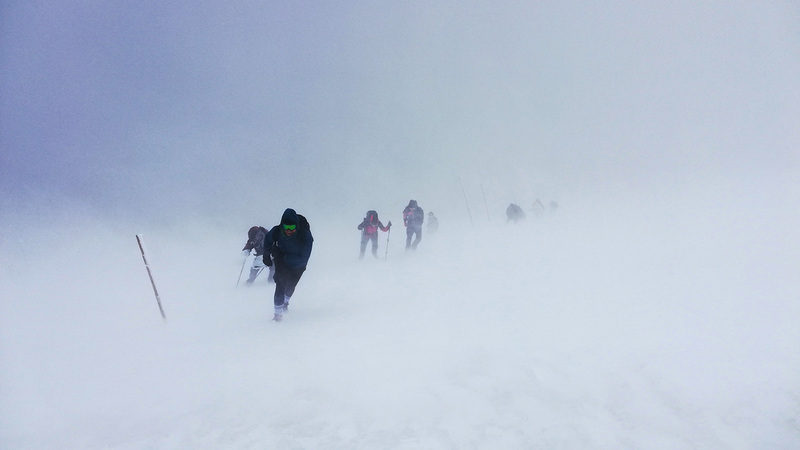 Thanks to everybody for making our annual group seminar/teambuilding at the top of the highest Czech mountain Sněžka a success - meaning we did not loose anybody despite the hurricane up there :). When we passed the group with Tibetian flags commemorating the 60th anniversary of the failed uprising against Chinese rule it really felt like we were in the Himalayas! Big congratulations to the four winners of the 2018 Martina Roeselová Memorial Fellowship! 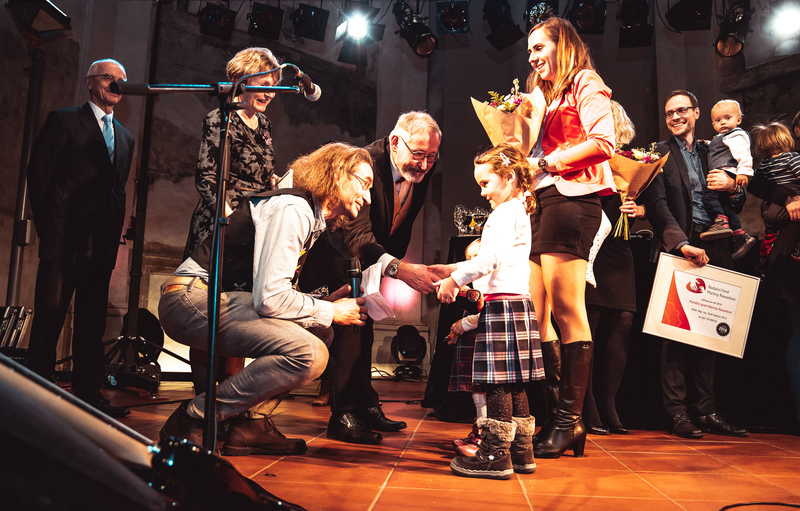 Support to young scientists raising small kids goes to Sylvie Rimpelová, Barbora Melkes, Petra Šedová, and Klára Frydrýsková! The award ceremony at the Christmas party of the Institute on December 14 was great fun and big thanks to all that helped - the small donors, the Institute and IOCB Tech, member of the selection comittee, and the Memorial Fund! Our latest study on cell penetrating peptides, combining molecular simulations with fluorescence and electron microscopy of model vesicles and cells, has just been published in PNAS. After a long march through journals (thank you Russell in Nature Chemistry and all the critical anonymous reviewers for helping to make the study better) we are coming out with a suggestion that the passive cell penetration mechanism of arginine-rich peptides may not be a simple opening of a transition pore but rather involves complex membrane bifurcation and fusion processes, the latter being analogous to the well known calcium induced membrane fusion. Passive cell penetration and membrane fusion may thus be two sides of the same coin! 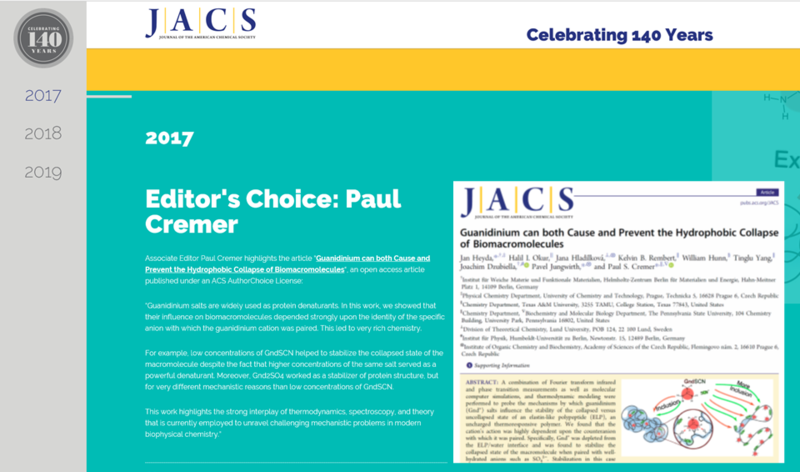 JACS is turning 140 and as a part of the birthday celebration the editors selected representative papers from recent years. We are happy that our colleague Paul Cremer selected our joint paper dealing with the effect of guanidinium on stability of boiomacromolecules for the year 2017. Thanks Paul! 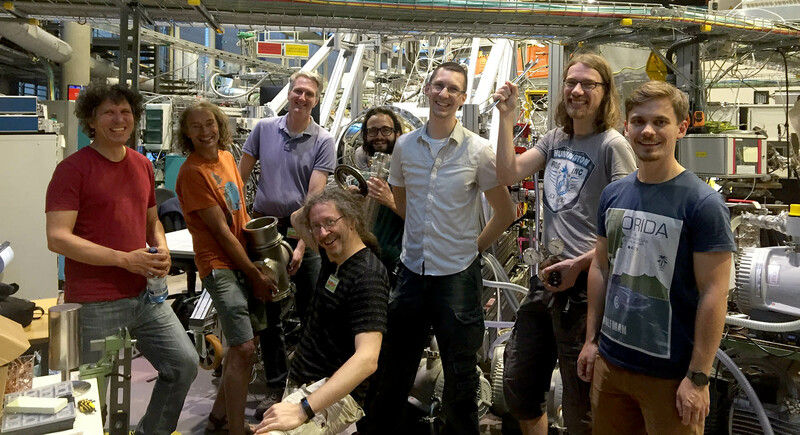 Big congratulations and thanks to everybody on the picture, in particular to Tillmann and Phil, for producing after a year of work in the lab the first ever liquid ammonia microjet! Not a simple task given the fact that it all has to be cooled down to about -50 °C. 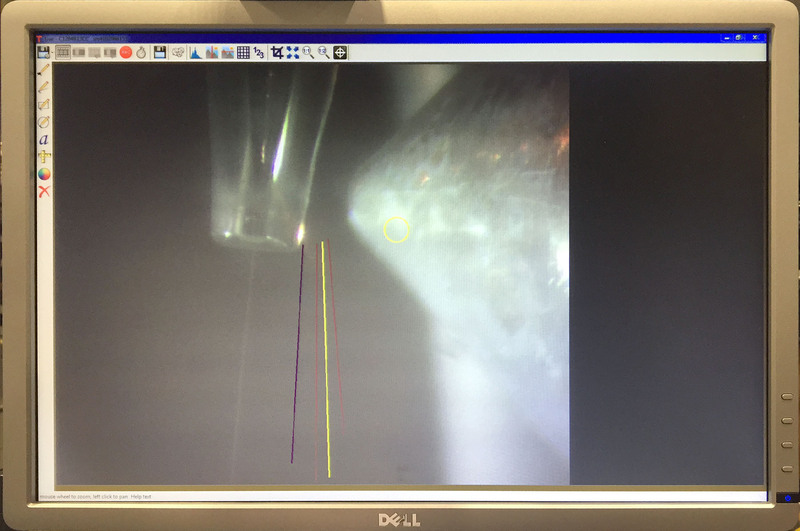 This allows us to measure at the Berlin synchrotron BESSY II the photoelectron spectra of liquid ammonia and hopefully eventually to characterize the solvated electrons therein, in what should become a new twist of our never-ending "throwing sodium into something" story. The American Institute of Physics has highlighted in an editorial our new article in the Journal of Chemical Physics on developing a simple but accurate model of calcium for biological simulations. Sweet, since this is certainly not a breakthrough discovery but rather an incremental results of a tedious down-to-the-earth work, which will hopefully be useful to the community. If you are modeling calcium signaling or any other process involving this lovely but difficult ion, feel free to use our new parameterization and let us know how it works for you! and a refined charge-scale model correctly predicts a weak association with carboxylic groups in water (not shown) (right). Calcium Ions in Aqueous Solutions: Accurate Force Field Description Aided by Ab Initio Molecular Dynamics and Neutron Scattering. Journal of Chemical Physics 148 : 222813 (2018).